The worlds first hot chocolate pods for Nespresso®* in 5 fantastic flavours. Including the Worlds First Double Shot Pods. Welcome to mugpods.com an online store specialising in Nespresso® Compatible Pods in the UK. We sell a fantastic range of Hot Chocolate Pods, Coffee Pods and Childrens milkshake pods for use in Original Nespresso® machines. 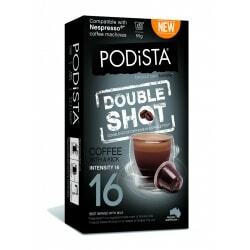 - Huge saving compared to genuine Nespresso® pods and capsules in the United Kingdom. If you are looking for cheap Nespresso® compatible pods or capsules - mugpods is the shop for you. - We are currently rolling out biodegradable pods across our entire range - meaning the pods can go in your normal waste. 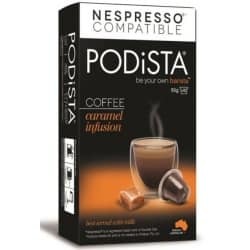 - We sell the World's First Nespresso® compatible Hot Chocolate pod range - with great flavours including caramel, chocolate mint and hazelnut capsules. - Our Coffee Pods come in multiple flavours according to intensity, why not try the worlds first double shot coffee pod? - NO minimum order value, start from one box - the more you buy the more you save. With FREE delivery on more than ten boxes. 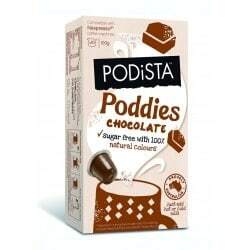 - Why not try our sugar free kids milkshake poddies r free, truly making your Nespresso® machine a family friendly drinks machine - not just coffee and allowing you to make Nespresso® compatible milkshakes! - Our customers love us, view mugpods reviews here. 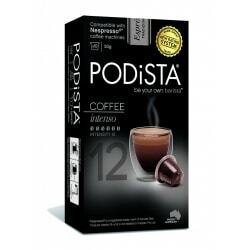 - We are a reseller of Podista pods in the United Kingdom. 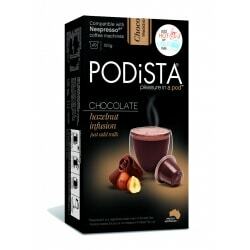 - This includes Nespresso® compatible Hot Chocolate Pods, Coffee Pods and Kids Poddies. - Interested in reselling Podista products? Want to become a trade partner? Please use the contact us page.